Sign up to get FREE SHIPPING on your order. 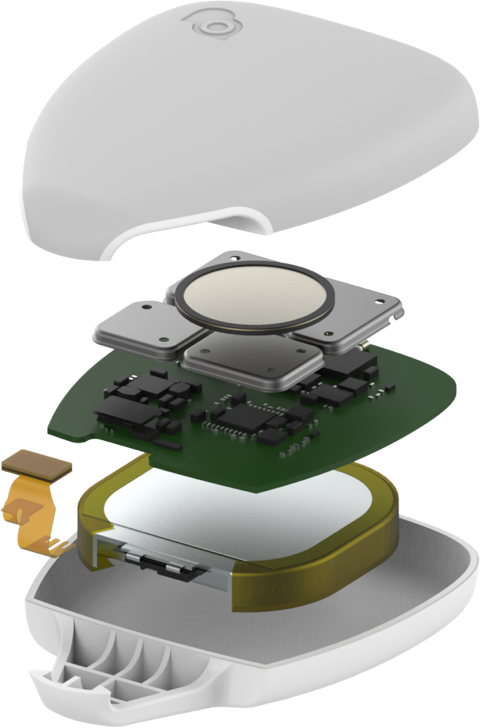 Jiobit is tiny, lightweight and lasts for weeks on a single charge. Using the secure loop, put your Jiobit on the same ring as his or her dog tags. 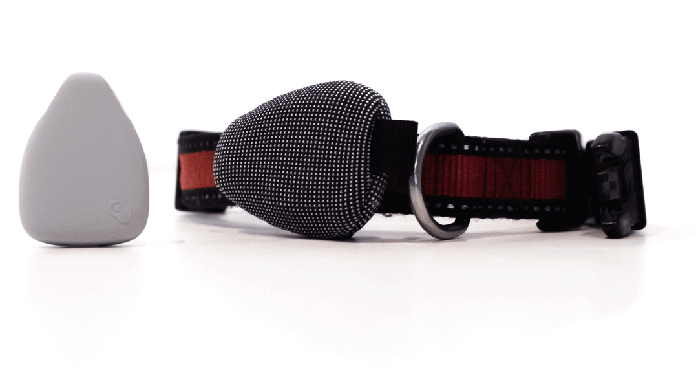 Keep using the collar you like! 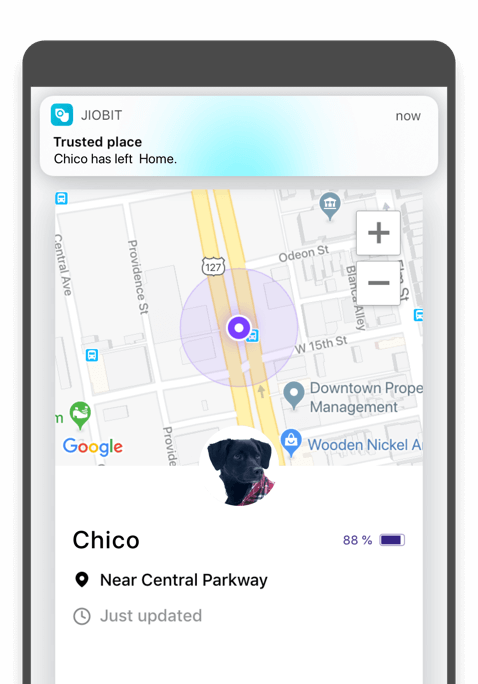 Using the Jiobit for Pets app, see your pet's accurate and real time location anywhere in the world. Know immediately if your dog or cat has left the yard, or when the dog walker arrives and leaves. Download the Jiobit for Families App, pair with your Jiobit and connect, and follow the app instructions to complete setup. Don’t worry about getting your Jiobit wet! 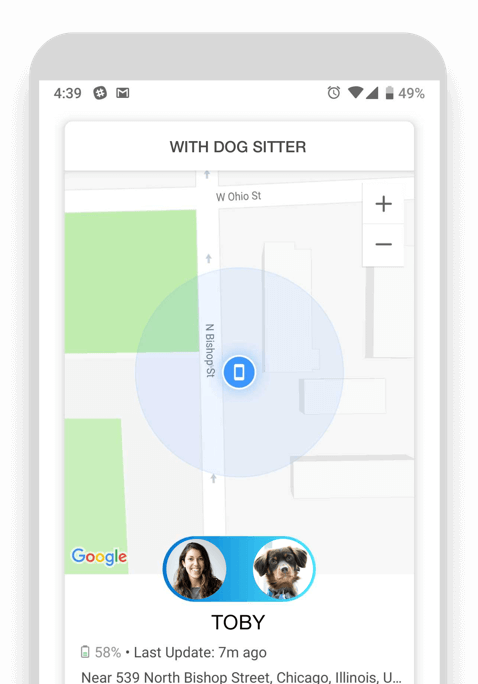 You’ll still be able to track your pets. We appreciate your interest in Jiobit. Due to unprecedented demand, we’re temporarily sold out. Please sign up so we can notify you as soon as we’re back in stock. Join our waitlist to be notified first. 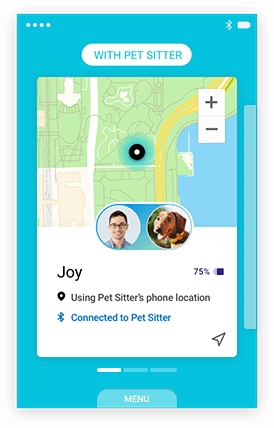 The Jiobit App lets you see your pet's location in real time, set boundaries, and tells you who they're with. See real-time location updates while Jiobit is in motion. 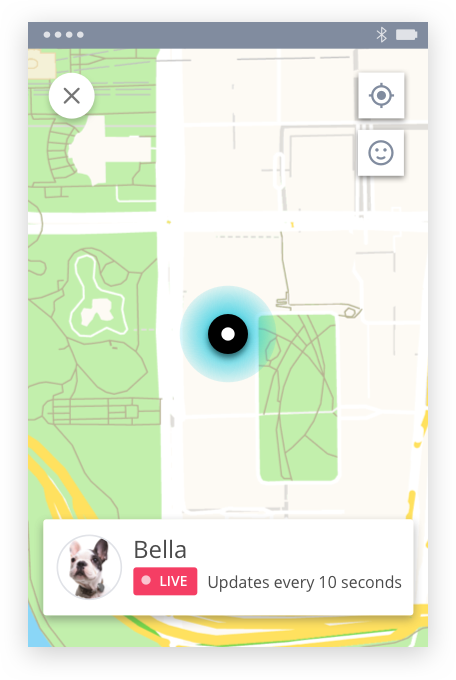 Similar to watching your ride share arrive, you'll see exact locations with updates every 10 seconds. 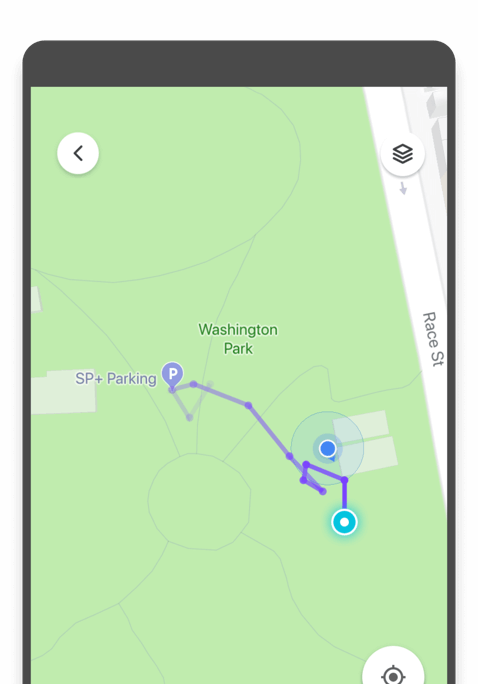 Set geofences around trusted locations like home or the dog park. You will receive alerts when Jiobit enters/leaves these places. 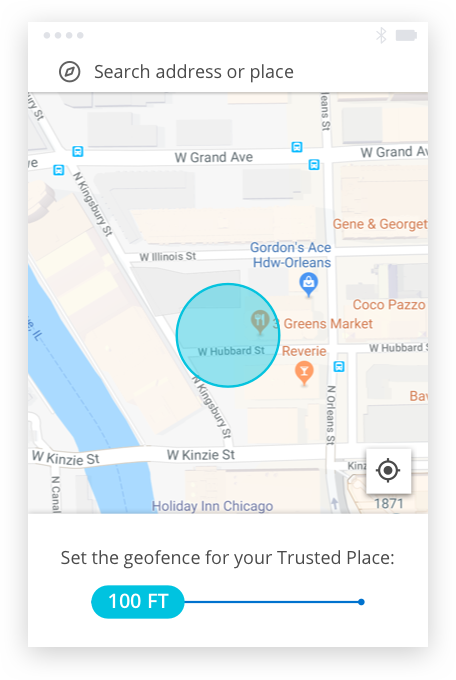 Set geofences around trusted locations like home or school. You will receive alerts when Jiobit enters/leaves these places. Many pet owners rely on pet sitters and dog walkers. 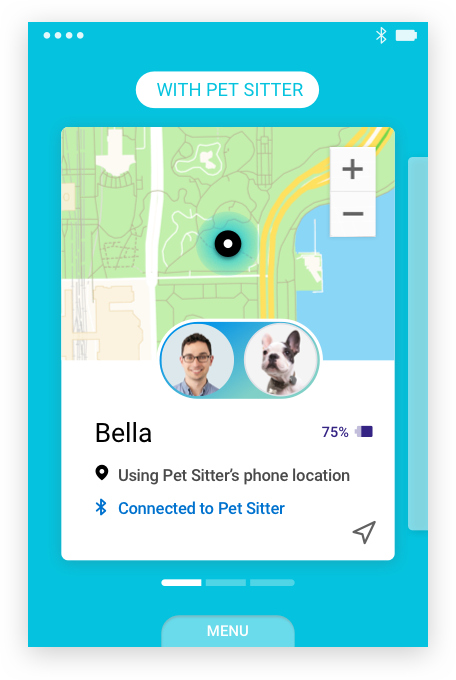 Adding them to your Care Team gives them access to your pet's location so they can do their job, and also lets you know when they're arriving and where they're going. Shock resistant and waterproof (IPX8): Protected against water submersion. Battery life: Up to two weeks of battery on a single charge. 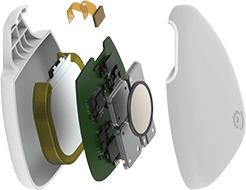 Low power notification: Battery life is impacted by the strength of your Wi-Fi and cellular coverage. We will send you a notification when your battery needs to be charged.